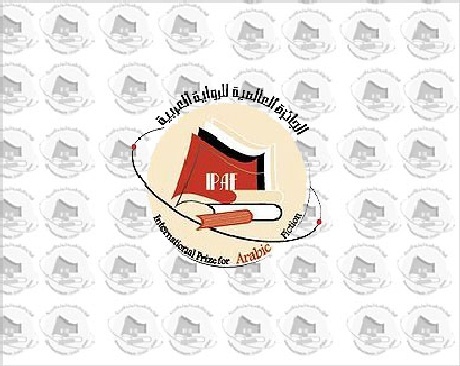 The announcement of the shortlist for the 2011 International prize for Arabic Literature, known as the Arabic Booker, was received with a warm welcome. The list, announced from Doha, Qatar early in the morning on 9th December, included two young Egyptian novelists, Miral El-Tahawy for "Brooklyn Heights" published by Dar Merit, and London-based Khaled El-Barry for "An Oriental Dance" published by Al-Ain. Khairy Shalaby's book "Istasia", which was highly anticipated to be on the shortlist, was missing though the Arabic Booker has throughout its four year history avoided "big names" in favour of good writing. The prize "depends solely on the literary value without consideration for geography, nationality, age or gender," stated the press release. The award, started in 2007, is funded by the Emirates Foundation and the Weidenfeld Institute for Strategic Dialogue, with the aim of developing a special prize for Arabic literature. The committee who made the decision for the shortlist included Iraqi critic, Fadhil Al-Azzawi who is resident in Berlin, and the Bahraini researcher and critic, Munira al-Fadhel, in addition to the writer and critic Said Yaktine from Morocco. Unlike last year's committee, this year's group worked "in harmony from the beginning. There was a consensus about the long list which simplified the choices for the shortlist," pronounced the committee chair, Al-Azzawi. This accord seemed to have emerged as a result of last year's mistakes, when there was a leak of names to the press. Criticism increased, particularly after Sherine Abul-Naga, the Egyptian member, asserted that the committee was "missing criteria and honesty,"
The exclusion of any famous Egyptian works received a lot of negative publicity. "In every week there's a Friday" by Ibrahim Abdel-Meguid, "The Saraswa Epoch" by Ahmed Sabry Abul-Futuh, and "Sons of Gabalawy" by Ibrahim Farghaly were not included on the long list. Unlike previous years, the first and second round of the committee's work has gone fairly peacefully, despite the loud campaign by publishing houses, which resulted in Egyptian authors, Gamal El-Ghitany and Radwa Ashour's withdrawal from the nominations and Ibrahim Abdel-Meguid calling for a boycott asserting that it is a fiasco. Despite this, the prize is already on its fourth consecutive year, and its long list included sixteen novels. While the short list left out such prominent names as Wassini Al-Aaaraj, Khairy Shalaby, Fawaz Haddad and Rene El-Hayek, it did include Bensalem Himmich, who was on 2009's long list for "The Andalusian Man", and this year was nominated for "My Tormentor" from Dar El-Shorouk. The fact is that Haddad's absence will not guarantee a safe voyage for the prize in the Arab media. Expectations were that the 2011 prize will go to a Maghreb-based author, (Tunisia, Algeria or Morocco) and the shortlist includes the works of two prominent Moroccan writers, Bensalem Himmich and Mohamed Achari – interesting enough they both held the post of Minister of Culture in Morocco consecutively. Hopes were created on the "regional quota" hypothesis, though this would mean that the Egyptian quota is exhausted with Bahaa Taher and Youssef Zidan winning in the first and second years of the competition. The likelihood that Miral El-Tahawy's outstanding novel, "Brooklyn Heights" will win the Naguib Mahfouz prize from the American University in Cairo, announced next Saturday, will significantly reduce its chances of winning the Booker. What is certain is that the committee's work will not be easy between now and March when the winner is announced. The books competing are all strong works, including Egyptian Khaled El-Barry and Sudanese Amir Taj Al-Sir. Thanks for this piece. But why should it be the case that if El-Tahawy's novel wins the Naguib Mahfouz prize this will significantly reduce its chances of winning the Arabic Booker? One would hope that literary prizes are not like sweeties to be distributed "fairly" among children, and that the IPAF judges will be independent and professional and will judge the shortlisted books on their own merits without taking into account whether any of them have already won a major award! Similarly, one would hope they will also disregard the fact that Egypt already won the prize twice in the three years the prize has been awarded so far.